Is Regifting Considered Proper Etiquette? Have you ever been given something you don't like or doesn't fit, but you don't want to hurt the feelings of the person who thought about you? You're not alone. Remember that everyone has received an unwanted gift at least once in his or her life. That doesn’t mean the item is bad or useless. It simply means that it doesn’t work for you. If you find yourself being gifted with something nice but that doesn’t fit into your lifestyle or décor, don't throw it away or donate it. Instead, consider regifting it to someone who will love it. Before you do that, make sure you understand the etiquette of this practice that is growing as people find their budgets squeezed to the limit. Show gratitude when someone gives you something, even if you don’t care for the item. Always thank the person for thinking of you and taking the time to pick out something for the occasion. Avoid saying anything negative, or you risk hurting the giver's feelings. 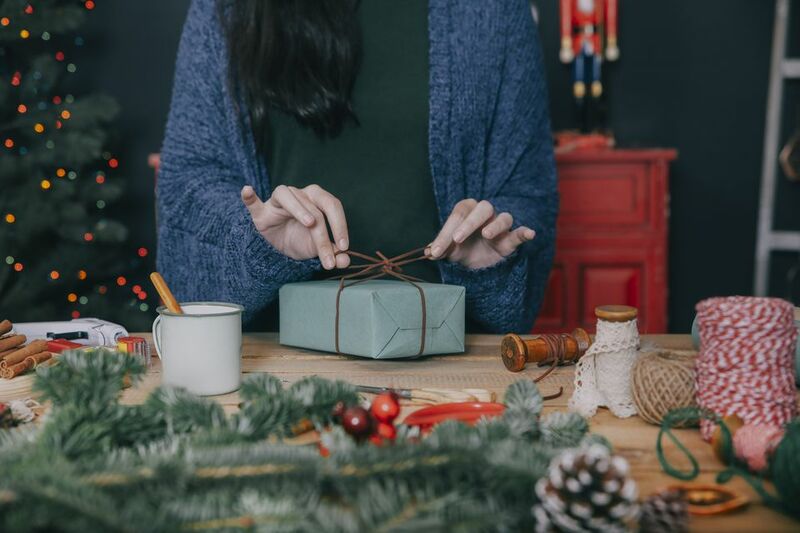 Later, you’ll need to decide whether you should keep the gift, return it to the store for a more appropriate selection, or add it to the “regift” box. Send a thank you note as soon as possible. You should mention the thoughtfulness of the gift, but don’t mention what you plan to do with it. Thank the person and let him or her know how much you enjoyed the occasion. You may also mention something about how much the person means to you and how thoughtful he or she is for being so generous. Some people keep a box of items that are used for regifting. If you like this idea, don’t forget to attach the giver’s name to each item, or you may find yourself in the embarrassing position of giving the item back to the original person. There are some things you should avoid adding to your collection. Food (i.e., canned ham or fruitcake). Monogrammed or other personalized items. Something that was handmade specifically for you. This is something you might want to keep for times when you’ll be with the person who thoughtfully took the time to create something for you. You don’t want to take a chance and give something back to the original person, so double-check the name on the item to make sure you don’t make this embarrassing mistake. That would not only hurt the person’s feelings, it would make you appear thoughtless. The best way to prevent this is to regift the item to someone outside the social circle of the original giver. There are specific things you should do to an item before regifting it. Failure to do any of them may create an awkward situation. You never have to lie about what you are doing, but you don’t want to be in the position of having to explain anything. Remove the original wrapping paper and rewrap it in your own. Make sure the box is in good condition so the item doesn’t appear used. Check the item and make sure there are no cards or names on or in the packaging. Inspect the item and make sure it is in excellent condition. If the item doesn’t appear new, consider donating it rather than regifting. When you open a gift that appears cheaply made or something that only a bag lady would appreciate, thank the person and then put it in your donation box. Never add it to the box of items you plan to regift later. If it looks cheap to you it will look cheap to others. Put some thought into the person you would like to give the item to. You might be allergic to wool, but that beautiful wool scarf would be perfect for another friend who is always cold. However, if you receive a wine bottle opener, you wouldn’t want to turn around and give it to someone who doesn’t like wine. Most of the time you don’t have to mention anything about the fact that you are regifting this item. If you are asked, don’t lie. Most people will understand. Consider having a white elephant gift exchange for your next celebration. This eliminates all the embarrassment of being caught regifting because that’s the whole purpose of the event. Instruct each person to bring something they received as a gift but can’t use for whatever reason. In order to prevent hurt feelings, provide everyone with a guest list and ask them not to bring anything given by the people on that list. This is a fun event for groups of close friends and office parties where you have good relationships with your coworkers. Just remember to keep the gift appropriate to the occasion. You don’t want to do anything that could get you in trouble at work. If you are on the receiving end of a regift that you originally gave, smile, thank the person, and do your best not to embarrass the person. She probably forgot who gave it to her, or perhaps she liked the item so much she purchased one for you. Whatever the case, don't make a big deal of it. She might remember later and apologize. Accept the apology and move on to another topic to let her know you aren't mad.